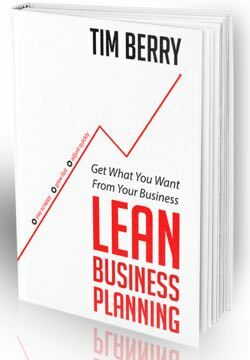 Benefits, definitions, and principles aside, this section takes you step-by-step through the process of creating a lean business plan. It’s four steps: strategy, tactics, concrete specifics, and essential projections. Keep it simple. The lean plan is just what you’ll use. Yes, you should know your market. Yes, you should have a marketing plan. But almost everything in your lean plan is lists or bullet points, for your own use only. Yes, and thanks for asking. The book is available at amazon.com, and on the iBooks store, and you can click the red text to link directly and order. As always, right on the money.